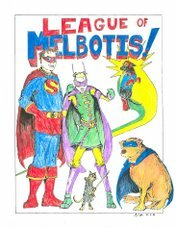 League of Melbotis: Chron Snob can't just "let it be"
Chronological Snobbery has an interesting post on the album "Let it be... Naked", a stripped down version of the Beatles' efforts formerly produced by Phil Spector. I'm a fan of Spector's work with the Ronettes and others. I'm also in a cultural blindspot when it comes to the Beatles. You should check out the article.